The Pound is little changed against the Canadian Dollar at the time of writing, trading at 1.6776 on the interbank market, up a marginal 0.01% from Friday's close. The slight outperformance of the Pound can probably be ascribed in part to US president Trump's comments over the weekend contrasting the positive progress made by the US and Mexico in NAFTA talks, with that of Canada. If there is no improvement Trump threatened slapping a tax on Canadian autos. The Pound's slight recovery needs to be considered within the wider context of a prolonged period in which the opposite has been true: Sterling has weakened versus the strengthening Canadian Dollar based on a combination of outstanding Canadian data contrasted with growing 'no deal' Brexit worries. Yet despite the preceding period of weakness, the Pound's resilience recently may also be due to rumours that the European Council has prepared some major concessions to the UK in order to agree a trade deal and avoid a cliff-edge Brexit. Details of the deal are not yet forthcoming but could bolster Sterling in the days ahead. From a technical perspective the pair is in a concerted downtrend on both short and medium-term charts. Whilst as a general rule the 'trend is your friend until the bend at the end', and, in the absence of any reversal signs we should expect GBP/CAD's downtrend to extend, the RSI momentum indicator in the lower pane on the daily chart below is in the oversold zone which is a signal not to open any new short positions. Moreover the RSI has formed a double bottom reversal pattern (circled) which further suggests a reversal. Since trends in momentum generally tend to mirror those in the underlying asset a move up in RSI recommends the same for GBP/CAD, and would argue that the 'bend in the end' may be close at hand. The pair has formed a green hammer candlestick at the lows (on Friday) which is a bullish reversal sign. The hammer signal would be enhanced by a strong up-day today providing confirmation. As such we are a little cautious about forecasting further downside at this juncture, despite our bearish forecast last week that a move clearly below the 61.8% Fibonacci level would open the way to the 1.63s. Despite the exchange rate breaking below significant support and the 61.8% level, as well as falling below the confirmation level at 1.6730, we think further downside may be delayed due to contrary signals. "Even with the daily indicator looking over-extended, we think scope for GBP gains is limited and we still rather think that fading GBP rallies (1.68/1.69 range) is the appropriate response to price action; sterling may be heading back towards 1.60/1.65," says Shaun Osborne, an analyst at Scotiabank. The four hour chart shows the pair pulling back into the 'sellzone' between the 10 and 20 moving averages, which is considered by traders as the ideal place to 'fade GBP strength' and reload shorts. This would seem to suggest the time is ripe to short the pair and expect renewed weakness, however, there is a missing ingredient to the sellzone set-up which, unfortunately, invalidates it - the set-up lacks a suitably bearish reversal candlestick or bar, and one would have to form to tick all the boxes and indicate further weakness with a high degree of accuracy. 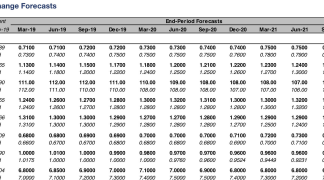 The big data release for the Loonie in the week ahead is July inflation data out on Friday, August 17, at 13.30 B.S.T. Expectations are for no change from the previous month's results of 0.1% rise in broad inflation from June and 2.5% from July last year. Core inflation is forecast to rise 1.3% compared to the previous year. Given the propensity for Canadian data to overshoot expectations, however, we would not be unduly surprised if it came out higher than expected - Friday employment data, for example, showed 54k new jobs were created in July from 17k expected. A higher-than-expected inflation print would support more upside in the Loonie. Higher inflation tends to lead to higher interest rates and these drive up currencies by attracting greater inflows of foreign capital, drawn by the promise of higher returns. The market already expects the Bank of Canada will probably put up interest rates by 0.25% in the autumn as it is, but higher inflation would 'seal the deal'. Brexit headlines could be on tap over the next week with EU/UK negotiations resuming on Monday and recent media stories have reported a conditional willingness on the part of EU leaders to accept Theresa May’s plan to aim for a free trade zone in goods, which could be discussed at a special EU Summit in Salzburg next month. We note this to be one reason why downside damage to Sterling could have been worse. "This could help to stem further Sterling selling pressure," says George Brown, an analyst with Investec. We will keep an eye out for any media set-pieces from the main negotiators. On the calendar, the Pound has three main data releases in the week ahead, the first of which is wage and employment data for July, out on Tuesday, August 14 at 9.30 B.S.T. Current expectations are for average earnings to come out at 2.5% - the same as in June; and for the unemployment rate to also remain the same at 4.2%. The next major release is inflation data, also for July, out on Wednesday at the same time. Headline CPI is expected to show a 2.5% rise compared to the same time a year ago, but a -0.1% fall compared to the previous month of June. Core inflation which excludes volatile food and fuel components is forecast to show a 1.9% rise compared to a year ago. "If inflation turns out to be more robust than expected, then this will fuel speculation over further rate hikes from the Bank of England," says a note from brokers Actionforex. The inference is that this could also support the Pound since higher interest rates tend to increase foreign capital inflows due to the higher return promised. 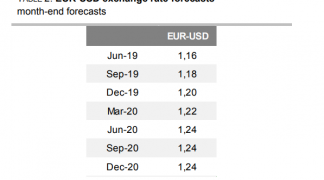 "Inflation may rise more sharply in the coming months as the weakness in the exchange rate will likely push up import costs. If the pound’s weakness persistence then in the long-term this should help to boost exports, assuming Britain will strike a good deal with the EU. So whichever way you look at it, sterling will probably make a good comeback in the longer term outlook," add Actionforex. The final major release for the Pound is retail sales in July out on Thursday, also at 9.30. Broad, headline retail sales are forecast to show a 2.9% rise compared to a year ago and 0.2% compared to the previous month of June (month-on-month). Core retail sales, which excludes auto sales and fuel is forecast to rise 2.8% on a yearly basis and 0.2% month-on-month. Despite the important data on schedule in the week ahead its important to note that broader political and macro themes may be more dominant. The Pound shrugged off a recent interest rate hike by the Bank of England and fell on Brexit fears anyway, and on Friday it was more moved by Turkish themes than domestic data which was positive, as macro themes dominated its main counterparts and somewhat overshadowed the data. 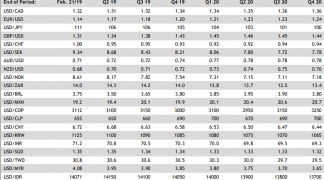 Domestic economic numbers released on Friday showed GDP expanding by 0.4% quarter-over-quarter in Q2 and construction output surging 1.4% month-over-month in June. The data had little impact on Sterling which was instead focussed on external drivers like broad-based Dollar strength and the Euro's Turkish-generated woes.